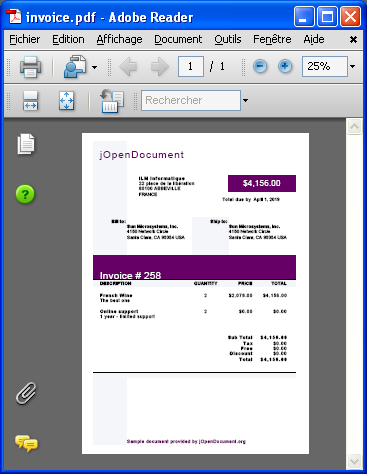 jOpenDocument can be used to create PDF files. PDF generation requires the use of the iText library. The iText library is available for free under a multiple license: MPL and LGPL. We recommend iText 2.1.5, the jar file is available here. The final PDF file is available here. This nice feature can be used to build a server delivering documents on-demand.